The activation on Halloween showcased JBL's voice-activated product range. 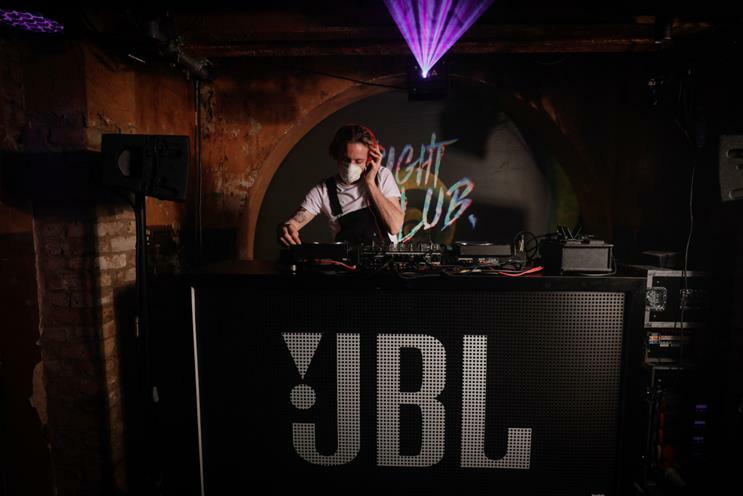 JBL and Google Assistant created a "Fright club" experience, inviting 240 guests and influencers to enter an underground labyrinth themed around macabre and delight. The activation aimed to showcase JBL’s voice-activated Link range featuring Google Assistant and the brand's new PartyBox wireless speakers with a built-in lightshow. On arrival, guests were greeted by a wall that transformed into different bodily shapes, with an ominous hooded figure telling them their safe phrase is: "Hey Google, lights on." Proceeding into darkness, guests were immersed in a soundscape – played on JBL products – of distressed animals, human screams and metal clunks, before using the safe phrase to trigger a strobe light that revealed two twins snarling at them. The experience featured different rooms with elements including playlists and projection mapping, revealed via interactions with Google Assistant. The torture room, for example, used a JBL Link View with Google Assistant to initiate a "tortured ears" playlist of the world's most dreadful music and a voice-activated countdown timer. A cell featured ghostly prisoners past, with hundreds of psychotic "Hey Google" requests scrawled on the walls. Guests eventually found their way to the "gory party", interspersed with performance artists including fortune-tellers, dominatrices, ghouls and contortionists. The event, which took place on 31 October at The Ditch at Shoreditch Town Hall, was delivered by Unit9.